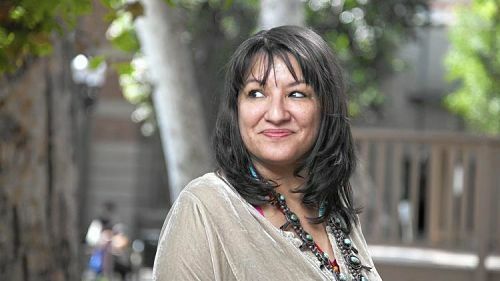 Sandra Cisneros has worked hard to surpass the reputation of "The House on Mango Street," the tale of a Mexican American girl coming of age in Chicago. In the 31 years since that novel was published, she has written short story collections, books of poetry, a children's book and another novel — but that early book continues to define her. 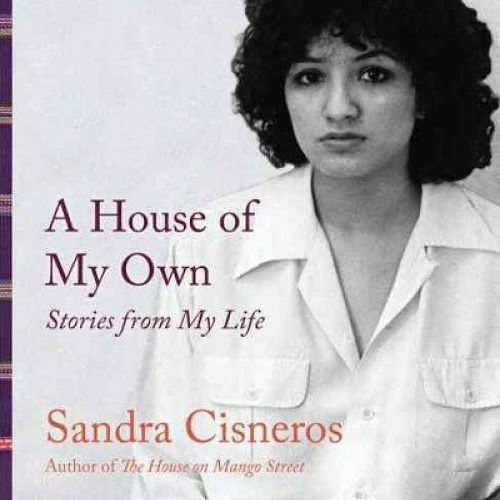 So instead of moving away from "Mango Street," Cisneros has built an even bigger, more impressive structure around it with "A House of My Own: Stories From My Life." This memoir in essay form includes personal stories about family and revealing travelogues detailing unexpected encounters as a single woman journeying solo. It also pulls together nonfiction writings that range from literary tributes to such greats as Eduardo Galeano to monographs highlighting visual artists who deserved "a few rose petals" in gratitude for creating work that moved the author, and keynote speeches punctuated by hard-won insights: "So often you have to run away from home and visit other homes first before you can clearly see your own." Home is a theme throughout, usually in the form of clever aphorisms ("A house for me is a space to reinvent oneself, like putting on a new dress. "), and Cisneros drops countless anecdotes about writing her famous first novel. But eventually home becomes less associated with the house on Mango Street, particularly when she applies it as a metaphor to other developments in her life, for example her literary activism: "We do this because the world we live in is a house on fire and the people we love are burning." One surprising element of "A House of My Own" is the author's openness about her struggles before and after her literary success, shattering any romanticized perceptions her readers might have about her fame or fortune. She doesn't hesitate to mention "the year of my near death" — a depression following the triumphant rerelease of "The House on Mango Street" that she dubbed "Hell's basement" — and the times she would accept any dinner invitations because she was "subsisting mainly on French bread and lentils so that my money could last longer." But she's quick to reassure us (and perhaps herself): "Despair is part of the process, not the destination," proving there's even a lesson to be learned from a writer's low points. Cisneros is refreshingly forthcoming about many of the people in her life, yet she only hints at romantic relationships — lovers are not as present as friends and family, her critical support system, who are deservedly celebrated. "Those remembered in stories never die," she writes. Two figures, however, who show through clearer than all the others are Cisneros' parents. It's hard not to beam at the mention of her mother's trademark malapropism "Good lucky!" and at the love Cisneros exudes for her father, despite a complicated relationship. It's when she writes about Don Alfredo Cisneros Del Moral that her poetry shines most brightly: "There is stored in my father's Spanish, the way a spider might be sealed in amber, a time and place frozen just out of reach, but that I can still hold up to my eye to make the world more golden." Sandra Cisneros Cover of "A House of My Own" by Sandra Cisneros. (Penguin Random House Books) Although she claims she never wanted to be a teacher, first because she didn't feel confident enough to be one, and later because she had sacrificed so much to become an author that she didn't want to compromise her writing time, Cisneros makes plenty of observations about writing that read like notes on craft. When she's musing on the art of the memoir, for example, she states: "Perhaps all memory is a chance at storytelling and every story brings us closer to revealing ourselves to ourselves." But the true gems in the book are the personal introductions that precede each nonfiction piece. These become opportunities for Cisneros to offer corrections, to admit to getting her facts wrong and to own up to a lack of knowledge or even to immaturity at the time of the writing. "I had to live a life first," she explains, "and then ask the hard questions later." It's a level of honesty that endears Cisneros to the reader. At the end of the book, after retelling the widely known controversy of her "purple house" in San Antonio, Cisneros also explains why she sold her famous home and moved to Mexico. Her life-changing decision comes with yet another personal insight: "I am not my house. Therefore, I can let go everything I've built." This statement also resonates for her as the author of "A House of My Own," a dazzling essay collection that is part artist statement, part declaration of independence from "The House on Mango Street" as she closes yet another chapter in her writing journey. After all, Cisneros declares, "The book is the sum of our highest potential. Writers, alas, are the rough drafts." González is a writer and critic living in New York City. He's also a professor of English at Rutgers-Newark, the State University of New Jersey.